Affinity Urgent Care is proud to provide women’s health services to residents of Galveston, Texas, and surrounding locations. An annual woman’s exam is imperative to maintaining optimal sexual health and well-being, but the long wait often required to be seen by a primary gynecologist can sometimes be discouraging. That’s why Affinity Urgent Care offers a full scope of same-day services for women’s health that never require an appointment. Plus, our clinic is open every day of the week during flexible hours, making it easier than ever to get the health care you need to remain in your best health possible. 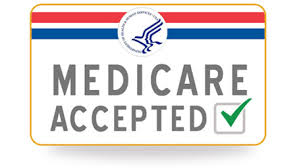 Plus, to ensure your visit is as quick and convenient as possible, we accept all major credit cards and most major insurances, including TRICARE, Medicaid, and Medicare. We also offer one of the best self-pay rates in the area for those paying out of pocket for their visit. If you are in need of women’s health services, be sure to consider choosing Affinity Urgent Care in Galveston, TX. In the event of a life-threatening emergency, please call 911.